The Gilets Jaunes: what are the prospects for sortition? Perspective: Some among the Gilets Jaunes propose using citizen participation via sortition in order to create a list for the European elections. 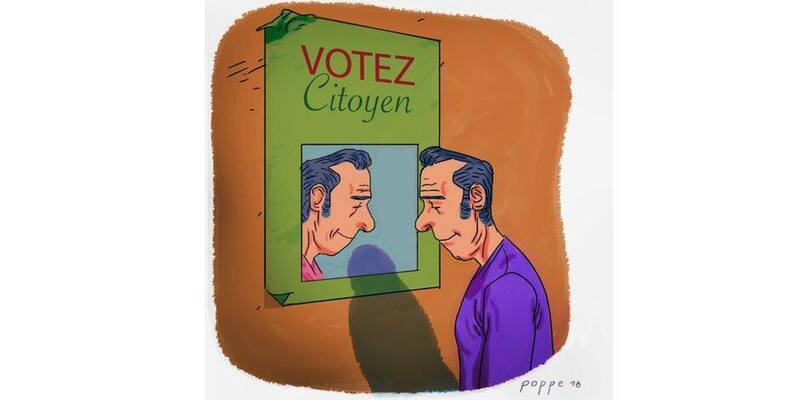 To be used in “the great debate” by the government, proposed by some “gilets jaunes” for the European elections, citizen participation via sortition is riding high, despite some limits emphasized by researchers. Its detractors fear a “talk-shop where legitimacy is only up to chance”, undermining the foundations of elections. Its supporters praise “the equality of chance to participate in the debate” which sortition makes possible, a specialist in democratic systems working at the Paris VIII university. In any case, the method has the support of the government: within the framework of “the great debate”, to be held in January and February as a response to the Gilets Jaunes movement, meetings of a hundred allotted citizens in each region will be held in order to give their opinion on the grievances mounting everywhere in France. “The idea is to make sure that the Frenchpeople who are not necessarily those most involved in public life and public conversation can give their ideas about the debate and the proposals”, explained PM Édouard Philippe last week in Haute-Vienne. For prof. Loïc Blondiaux, a specialist in those matters in Paris I university, “it is a response to the crisis of representation”. Sortition “guarantees a much more diverse representation” because “if we look at the social makeup of Parliament, there are very few workers and wage earners, as opposed to the Gilets Jaunes and to the future assembly members of the “great debate”, emphasizes the researcher. “The representatives will not speak instead of the citizens but as citizens, it is a different voice”, he asserts. Until now, civic participation via sortition never went above the local level in France. After an experiment during the summer with a national debate for the 5-year energy plan, it “reaches for the first time the national level, with the demand coming from below”, emphasizes Yves Sintomer. Although citizens councils and participative budgeting using sorititon already exist in municipalities, he observes, “the only institutionalization of sortition at the national level is in trial juries”, going back to the revolution. A randomly selected microcosm of the people can usefully play an official role in the lawmaking process. However, there are serious issues to be confronted if such a random sample were to take on the role of a full-scale, full-time second chamber. Some skeptical considerations are detailed. There are also advantages to short convenings of such a sample to take on some of the roles of a second chamber. This article provides a response to the skeptical considerations. Precedents from ancient Athens show how such short-term convenings of a deliberating microcosm can be positioned before, during, or after other elements of the lawmaking process. The article draws on experience from Deliberative Polling to show how this is both practical and productive for the lawmaking process. In arguing for short term “Delibertive Polls”, Fishkin offers three problems with long-term allotted chambers: (1) lack of technical expertise, (2) potential for corruption, and (3) not maintaining what he calls “the conditions for deliberation”. Are “citizen” parties for real? The following op-ed by Yves Patte, sociologist and community organizer, was published in August on the Belgian website La Libre (original in French, my translation). A few months before the elections, have you noticed how at some point all the parties seem to be “citizen” parties? In their name (“citizen list”, “citizen party”), as well as in their platforms (“re-empower the citizens”). Naturally, we are not going to complain. It would be grouchy to be too particular now that the political world is attending to the wish for citizen participation. However, we must remain careful and ask ourselves whether this sudden mass conversion to the faith of citizen participation is sincere. After “greenwashing”, are we witnessing a case of “citizenwashing”? So, how, as citizens, can we assess the sincerity of a list or a party that calls itself a “citizen” list or party? Of course, merely printing “citizen” on its campaign posters is not enough, nor is inserting this word into its platform. Drawing ideas from citizen movements does not legitimate declaring a party to be a citizen party either. It is not because a party promotes local agriculture, short supply chains, social connections or “zero waste” that it would be “a citizen party”. We know that democracy, since its origins, gave a central place to the “citizen” in managing the city-state. It is he (and today fortunately, her) who had political rights and duties, who participates “in the power to judge and to order” (Aristotle). There is a link between democratic organization (that is to say when power resides with the “demos”) and the citizens being able to take on the functions of the democratic organization. There’s a spectre haunting Europe … and the rest of the Western world. We have elaborate ‘diversity’ programs in good upper-middle-class places to prevent discrimination against all manner of minorities (and majorities like women). It’s a fine thing. But there’s a diversity challenge a little closer to home which is tearing the world apart. There’s a war on the less well educated. They’re falling out of the economy in droves, being driven into marginal employment or out of the labour force. This is a vexing problem to solve economically if the electorate values rising incomes which it does. Because, as a rule, the less well educated are less productive. Still, the less well educated are marginalised from polite society. Polite society even runs special newspapers for them. They’re called tabloids and they’re full of resentment and hate. And yes, a big reason they are the way they are is that the less well educated buy them. They’re also marginalised, except in stereotyped form from TV. Then there are our institutions of governance. While less than 50 per cent of our population are university educated, over 90 per cent of our parliamentarians are. Something very similar would be going on down the chain of public and private governance down to local councils and private firms. And I’m pretty confident that a lot of this is internalised even by those not well educated. The last working-class Prime Minister we’ve had in Australia was Ben Chifley who was turfed out of office by a silver-tongued barrister in 1949. Barrie Unsworth in NSW going down badly in his first election as NSW Premier despite seeming – at least to me to be doing quite a good job. But he sounded working class – because he was. I wonder if that was it? In Australia Pauline Hanson’s One Nation represents the political system’s concession to isegoria – toxified as a protest party within a hostile political culture. My own support for a greater role for selection by lot in our democracy is to build more isegoria into our political system in a way that, I think there’s good evidence, can help us get to a much better politics and policy. Imagine scrapping elections and instead selecting politicians at random. What would you do if your name was drawn out and you suddenly found yourself in charge? How do you think the country should be run? Award-winning performer Selina Thompson is sending out a far-reaching call to action for young people from all backgrounds to put their names forward for a new project this Summer. The provocative new work, Sortition, will bring together a randomly selected team of young people under 30 from Scotland, England, Wales and Northern Ireland who don’t vote, feel like voting doesn’t work and that politics as usual doesn’t represent them. Sortition is co-commissioned by 14-18 NOW, the UK’s arts programme for the First World War centenary, supported by Jerwood Charitable Foundation, and will go on to be premiered this September at Arnolfini in Bristol. Whatever the analytical debates over Europe’s democratic deficiencies, citizens certainly feel that EU decisionmaking is remote and often impenetrable. Unless some tangible and high-profile initiatives are forthcoming, the EU will remain more remote and complex for the average citizen than public authorities closer to home. Busy citizens will not engage with broader European politics unless they feel that their voices have a good chance of being heard. The endless aim to “communicate Europe better” is one facet of this predicament. Despite the EU’s focus on glitzy communication gimmicks, dedicated television channels, enticing Facebook pages, and the promise of Citizens’ Dialogues in which EU commissioners meet with citizens around the member states, many Europeans frequently feel that they have little to no influence over this particular level of international governance. To address this problem, Boucher offers some ideas, one of which is what he calls “an EU Collective Intelligence Forum”. A yearly Deliberative Poll could be run on a matter of significance, ahead of key EU summits and possibly around the president of the commission’s State of the Union address. On the model of the first EU-wide Deliberative Poll, Tomorrow’s Europe, this event would bring together in Brussels a random sample of citizens from all twenty-seven EU member states, and enable them to discuss various social, economic, and foreign policy issues affecting the EU and its member states. This concept would have a number of advantages in terms of promoting democratic participation in EU affairs. 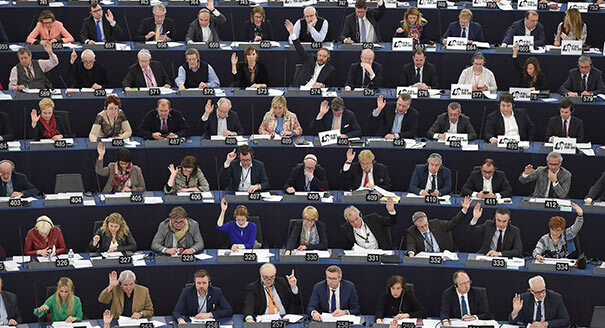 By inviting a truly representative sample of citizens to deliberate on complex EU matters over a weekend, within the premises of the European Parliament, the European Parliament would be the focus of a high-profile event that would draw media attention. But no need for the elites to be apprehensive. The idea is not to force popular decisions upon them, but rather the other way around – to make citizens see sense.